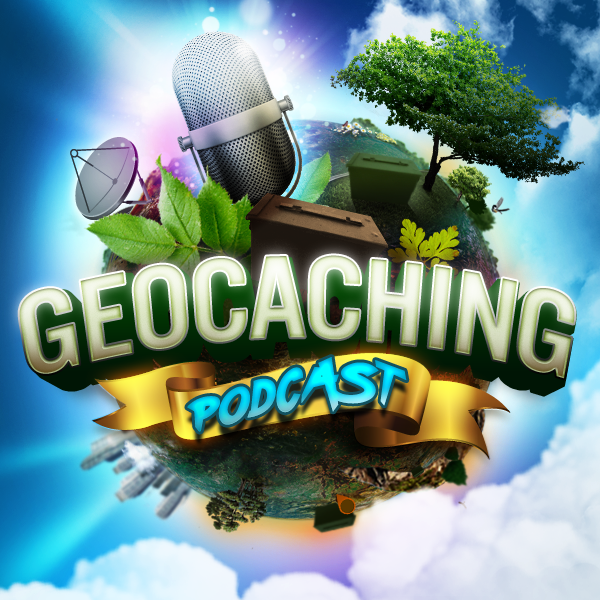 Tonight’s topic deals with and hopefully brings helpful suggestions for Geocaching Burnout. Even the most ambitious geocacher can hit a dry patch. We disucuss when this happens and how to snap out of the rut. Have any one of you been totally creeped out at a cache? We’re excited to announce the newest country souvenirs for you to collect on your geocaching travels: Russia and Puerto Rico! As the largest country in the world, Russia spans eleven time zones and covers more than one eighth of Earth’s inhabited land area. Find an urban cache in St. Petersburg or venture to a volcano on the Kamchatka Peninsula. Puerto Rico is home to over 1000 active caches and a geocaching community known for its warm hospitality and friendliness to strangers. Enjoy stunning beaches or discover one of Puerto Rico’s best-kept secrets: its extensive cave system. Learn more about geocaching in Russia and Puerto Rico on the Geocaching Blog. Geocaching Burnout – What is it? When Geocaching is no longer fun? When you are getting bored or frustrated by the game? When you stop doing it? Are there different reasons for burnout around the 50 finds mark (I tried the hobby, it wasn’t for me), and the 1000+ cache people (something’s changed, and it’s not fun anymore)? What is causing them to burn out and or quit? IF: Time / Family pressures? Lack of variety in the local area? Just other interests? Bad weather / winter? TAZ: Hide quality/availability of good hides. Feeling uncomfortable when searching for hides. Poor maintenance by local hiders, Too many DNFs. You have fewer than 100 geocaches within an hour from home. Especially if you are trying to spread your finds (e.g. dot days) or get 1000 finds a year. The only puzzles left have only been solved by a few people. All the caches are urban micros, even those placed in non-urban locations. Making yourself get out and find caches whether or not you want to, can make it a chore rather than a fun hobby. (e.g. ‘burnout’ after trying to complete a geostreak). Local cachers form a clique that you are not in. Your caching buddies get a boyfriend or something else more important than geocaching. Your family make it unbearable to stop for a geocache when you want to. Electronics making it too easy to play? IF: Hell no! Smartphones are what got me into the game! Also smartphones give scope for all sorts of puzzles (e.g. Wherigos). TAZ: Nope, while electronics have improved, they’ve only made it easier to get to the hide (planning, navigating, logging, etc. ), not to find the hide itself. Is there too much emphasis on the numbers? IF: For some people perhaps? Numbers don’t generally bother me, unless someone is bragging about them. SB: As someone with 14.5k finds, I’d say numbers definitely add to the burnout. TAZ: I don’t see these as community imposed emphasis, but more personal desires to achieve something specific. Though, I know I had burnout when I was trying to close out my 365/366 Challenge. TAZ: Step back, search your area for high favorited caches, and hit one or two. Or even take a break from caching, but keep that app ready in your pocket because you’ll end up someplace and say, hey that would be a great place for a cache! IF: If you can work out why you’re not enjoying caching any more, you’re halfway to finding the solution (if you want to). Try different types of geocaches instead of the same ole same ole. Geocache with other geocachers – helps save on gas and make for a more competitive geocaching day. Treat (force) yourself to at least a geocaching afternoon or day every other week or so. Spend some time making creative geocaches and the hiding them. Some people like hiding geocaches almost as much a finding them. (From another NZ cacher) I’ve solved this by being more selective of the caches I hunt for. I make sure I don’t just go find a cache for the sake of it. I am mostly doing it because I enjoy walking, hiking and mountain biking. The caches are just the bonus along the way. Try and write an interesting log (if it’s a halfway decent cache) – encourages the hiders to keep going, and (hopefully) others to write better logs on your hides in return. Is there a challenge that you could chip away at? I had a couple that pushed me out of my comfort zone, and possibly kept me in the game when I might have given up. It doesn’t have to be a nearby challenge, just one that interests you. Going somewhere out of town? See if there’s a cache anywhere near the places you are visiting / staying. You know you’ll need a break at some point in the proceedings. If there’s an event near you, go to it (even if it’s only for 10 minutes) and speak to somebody you don’t know. If they’re a newbie, let their enthusiasm rub off on you!